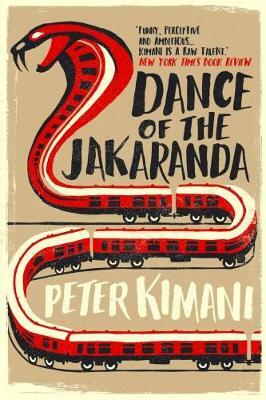 Catch Peter Kimani on a rare trip to the UK, where he’ll discuss his UK debut novel Dance of the Jakaranda with editor of Books and Arts at The Economist and newly-announced 2018 Baillie Gifford judge, Fiammetta Rocco. Named a New York Times Notable Book of the Year of 2018, Dance of the Jakaranda explores Kenya's colonial legacy through the story of the national railroad and its protagonist. Peter Kimani is an award-winning author. He was 1 of 3 poets commissioned to compose and present a poem marking Obama’s 2009 inauguration. Born in 1971 in Kenya, he has won the Jomo Kenyatta Prize for literature, Kenya’s highest literary honour. Dance of the Jakaranda is his UK debut novel.